THELMA and her PUPPIES - Thelma and her four babies were rescued from Pinal county pound. We believe the babies were born on New Years Day 2017. The puppies are estimated to be 15 lbs or less full grown. ​Thelma was on the street for a while, possibly abused, and is a bit skittish. She will need a patient and kind person to work with her. Thelma and her babies are in foster care PLEASE CALL MAGGIE at 602-451-3312 to get more information and/or meet these dogs! Puppy 1 is not longer available so her picture has been removed. Puppy 2 is a girl with very long legs. She is outgoing and loved to be petted. ALthough she will be tall, she will not exceed 15 lbs. Puppy 3 is a girl. She is the first to do everything and the most outspoken. I little pistol!!! Puppy 4 is the only boy. He is a chunky little one who loves to be held. Definitely a follower! THESE DOGS WILL HAVE BEEN SPAY/NEUTERED, HAVE BEEN WORMED AND CURRENT ON SHOTS. PUPPIES WILL COME WITH A PUPPY CARE PACKAGE, A TOY, FOOD AND A COLLAR. LOLA - Lola is one of the rare kitties we take into our program. She came from Pinal animal control several months ago where she became sick with an upper respiratory illness. Today she is healthy and ready for her forever home! She is a lovely three year old who is good with other cats and cat-friendly dogs. She has even lived with a mini-horse! Lola is a very clean kitty who requires her box be cleaned a few times daily to keep her happy. Lola will arrive spayed and up to date with all her shots. Could you be the loving home she is looking for? LOLA is in FOSTER CARE. Please call MAGGIE 602-451-3312 to learn more about sweet Lola. GIGI - ​Gigi is a cute little Chihuahua approximately three years old. When she arrived from Pinal, everyone thought she was pregnant...but in fact she was just a bit overweight. Several months later, given activity and exersize she is down to a good normal weight! Gigi is the life of the party! She loves her humans as well as other dogs and cats. She loves to snuggle and can watch TV with you for hours. Are you looking for a love-bug like Gigi?? ​She is in FOSTER CARE with MAGGIE so please call 602-451-3312 for more information. Donate today so we can help more dogs until we can find then their FOREVER homes!!! Want more information on any of Cochise Canine's dogs? Call 520-212-1718 or go to our Contact Us page and send us an email. 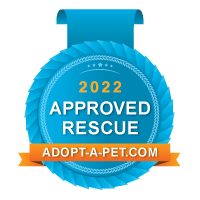 Cochise Canine's Adoptable Dogs- While not all our dogs are adoptable due to chronic illness or age, we are delighted to place dogs in the great homes we have found! Here are the dogs currently available for adoption. Please note that some are "SP" or "Special Needs" but all these wonderful animals will do great in a home environment!